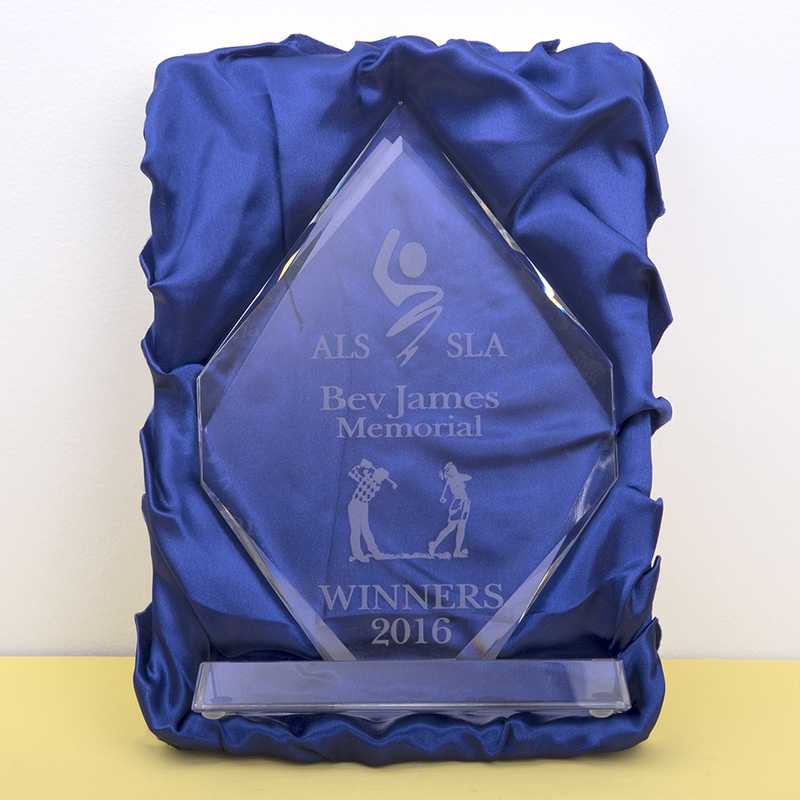 We offer a wide variety of trophies awards to commemorate your special life moments and promote your organization with distinction. Any of our products can be paired with our engraving services. Stylish ceramic cups offer a clean and modern design. Ceramic cups come in a number of designs and can be found in the Awards of Recognition Catalogue. 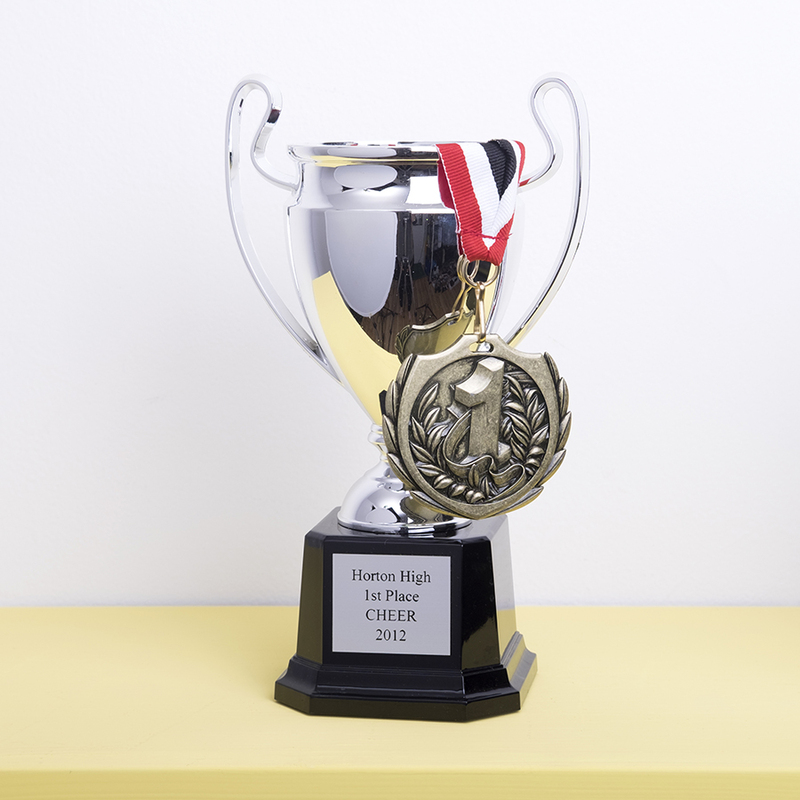 This classic Trophy design is avalible in three different sizes. 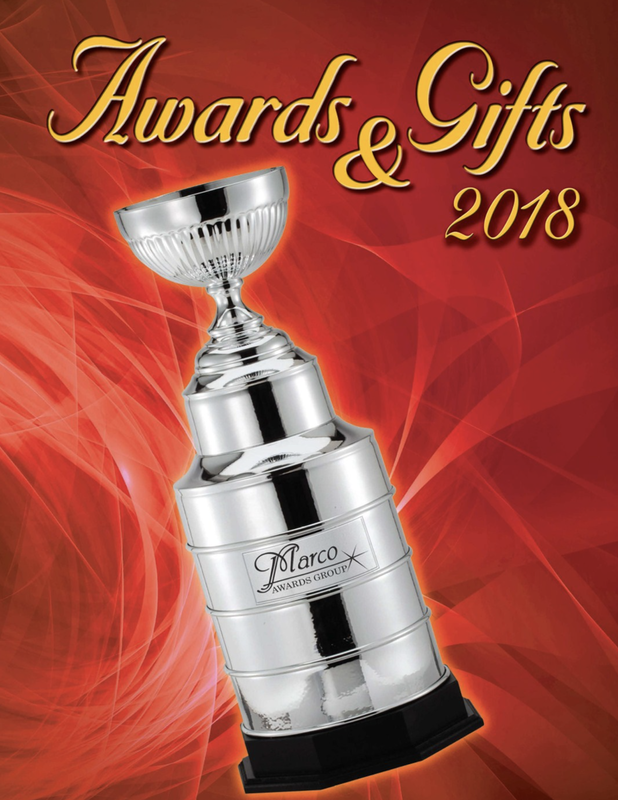 We also offer a variety of other cup designs which can be seen here in the Awards and Gifts Catalogue. 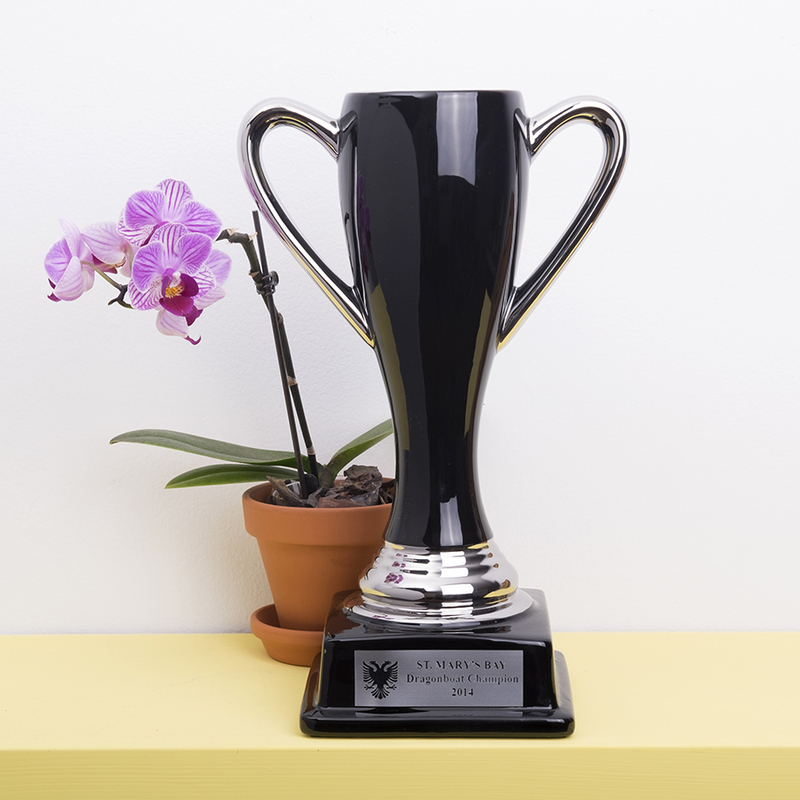 Metalic star trophy with a glossy piano finished base. 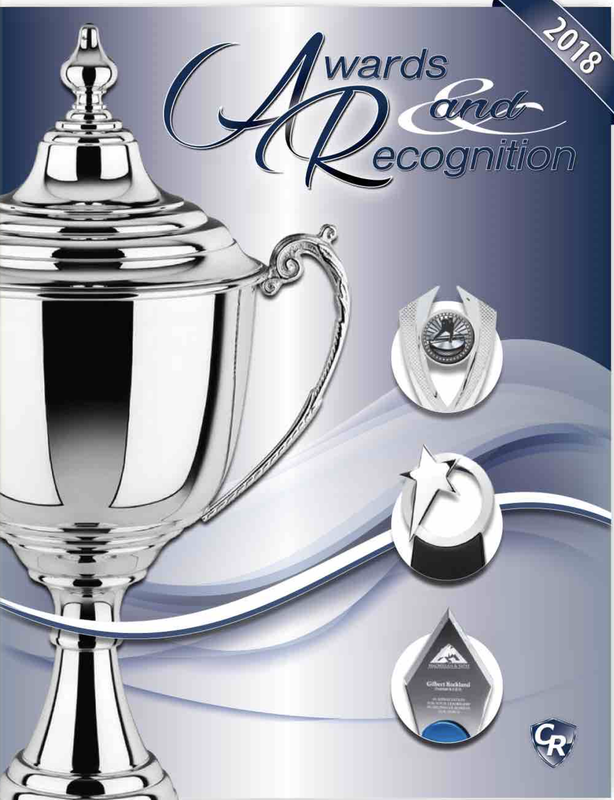 Star topped trophies come in alternate styles and colors and can be seen in the Awards and Gifts Catalogue. Addional optical crystal designs can be found here. 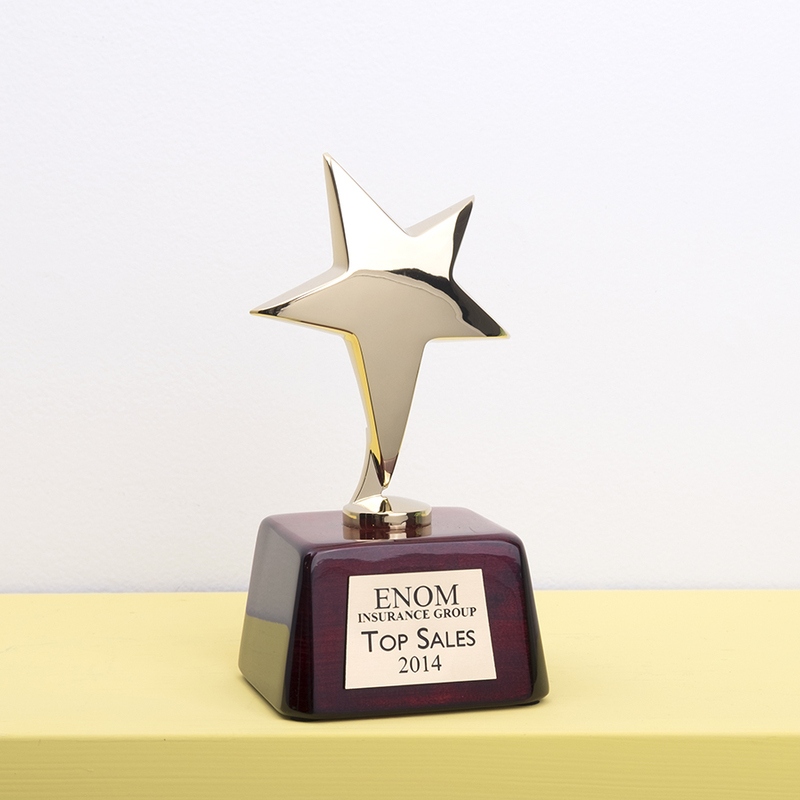 We offer a wide variety of crystal, glass and acrylic awards in a range of styles and shapes. More samples can be seen in all of the catalogues below. 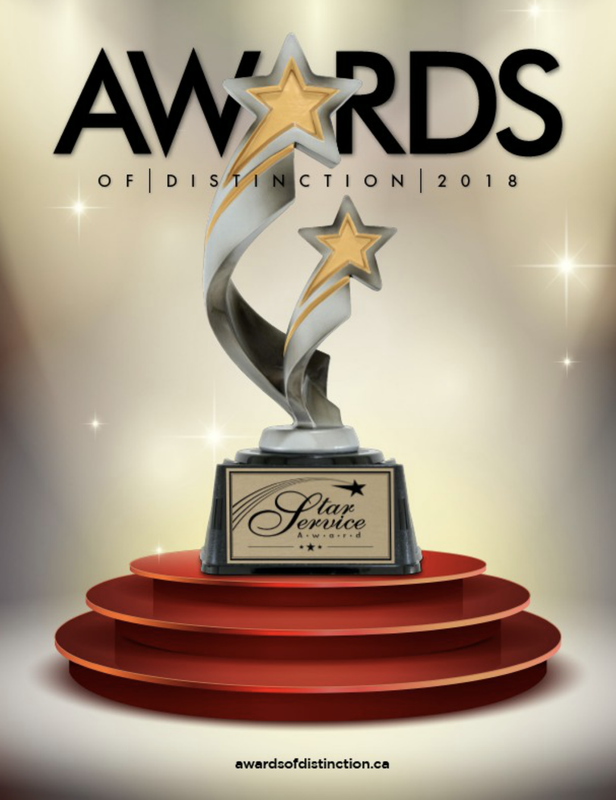 The award pictured above comes in three sizes.